Velson Horie is a consultant to clients in the UK and abroad on the care of collections - with the aim of ensuring that users can use these collections, both now and in the future. He is experienced in integrating the many contributory activities: from the care for an individual object, through storage and display techniques, building specification and maintenance, management structures, fund raising, training, and planning for needs and capability across institutions. Velson is a strategic planner with an international reputation, project managing and delivering a wide range of projects, from collaborative research to professional accreditation to a £21m building development. All these required, and benefited from, multi-disciplinary teams, focused on quality improvements with clear public benefits, underpinned by a commitment to motivation and development of people. He is an experienced conservator and collections manager, with considerable achievements in consultancy, innovation, research, publication, teaching and professional activity. He initiated professional standards for conservators now adopted across the profession. 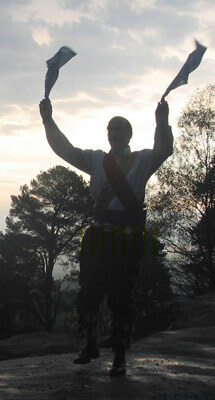 His hobbies include maintaining intangible heritage, Morris dancing, and contributing to professional organisations. Velson is a Fellow of the Museum Associationand the International Institute for Conservation, an Accredited Conservation-Restorer, and a full Member of the Association of Project Management. Download my curriculum vitae in PDF format. J.Cronyn and C.V.Horie, St.Cuthbert's Coffin: History, Technology and Conservation, Dean and Chapter of Durham Cathedral (1985). C.V.Horie Conservation and the Specimen, in Natural History Conservation no. 1 (April 1986) 4-5. N.S.Allen, M.Edge, J.H.Appleyard, T.S.Jewitt, C.V.Horie & D.Francis, Acid-catylised hydrolytic degradation of historic cellulose triacetate cinematographic film : The Vinegar Syndrome, in Proceedings of 'Water Borne and Higher Solids Coatings Symposium' New Orleans (1988) Organised by the University of Southern Mississippi and the Southern Society for Coatings Technology. C.V.Horie, Conservation Grants- an analysis, Conservation News 28 (1985) 2-5. C.V.Horie, Who is a curator?, Int.J.Museum Management and Curatorship 5 (1986) 267-272.